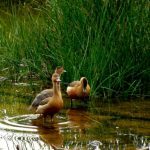 Invasive Alien Species: A Silent Threat to Sri Lanka’s Biodiversity – Environment Foundation (Guarantee) Limited. We have all heard of “invasive species”, but what are they really, and why are they such a big problem? Through natural and man-made processes, many species are introduced to areas outside of their normal range – these are known as non-native, or “alien” species. Many of these alien species will not be able to adapt to the new environment at all, and may eventually die off. Today, as with the rest of the world, hundreds of new species of plants and animals are introduced to Sri Lanka, intentionally and unintentionally. While some alien species are confined to human habitats (home gardens, botanical garden or farmlands, pets in fish tanks or cages), some may escape confinement and mix with native species and ecosystems. The vast majority will not be able to survive in these new contexts; however a tiny portion of them will persist in their new homes. A minute percentage of these species may blend with the natural ecosystems and maintain their populations, without causing harm to native biodiversity. Some species, known as pests and weeds, may grow rapidly in human settlements, damaging agricultural crops and livestock. A fraction of alien species will survive, inhabit and spread beyond their areas and purpose of introduction. They actively subdue natural and man-made ecosystems, replacing native plant and animal species. These are known as Invasive Alien Species (IAS). 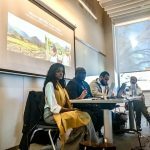 Once established, the continued existence and spread of IAS threatens native biological diversity, and imposes costs on agriculture, forestry, fisheries, irrigation, while also impacting tourism and even human health. IAS requires expensive control and management, with Rs. 37 million being spent between 2010-2014, while the Department of Irrigation has incurred costs of Rs.324 million since 2008, on cleaning tanks, canals and waterways affected by IAS. 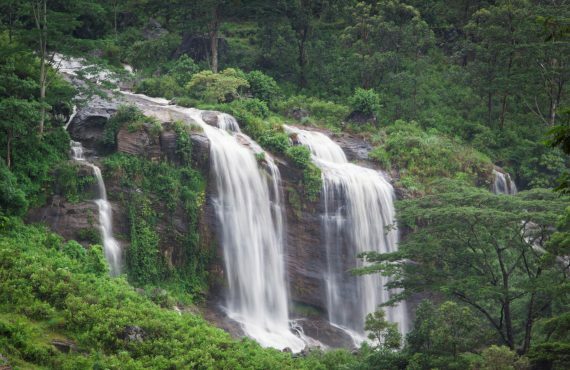 Along with the Western Ghats of India, Sri Lanka is one of the 35 global biodiversity hotspots. According to the National Red List (2012), Sri Lanka is home to about 750 vertebrates, 1500 invertebrates, 3,150 flowering plants, 336 Pteridophytes (ferns) species, 240 birds, 211 reptiles 245 butterfly species and 250 land snail species. Due to the rich coastal and marine biodiversity, there exists about 208 species of hard coral, 750 species of marine molluscs, over 1,300 species of marine fish, supported by ecosystems such as coral reefs, mangroves, sea grass beds, salt marshes, sand dunes and beaches. There is a great amount of endemism (species only found in Sri Lanka), with about 894 species of angiosperms and 43% of indigenous vertebrates (not including marine forms) being endemic. 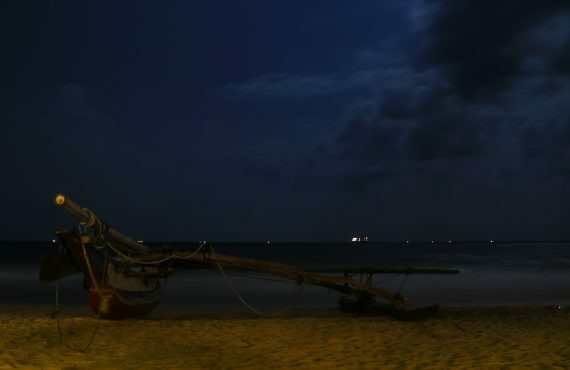 However, Sri Lanka’s unique biodiversity is currently in decline; current CBD statistics state that of the species found in Sri Lanka, 27% of birds, 66% of amphibian species, 56% of mammals, 49% of freshwater fish species and 59% of reptiles and 44% of flowering plant species are threatened. Loss of biodiversity affects economic activities such as tourism, fisheries and agriculture. There are 32 flora species and 7 fauna species that are currently IAS priorities as per the IAS Risk Assessment conducted in 2016, some of which include; Water Hyacinth, Giant Salvinia, Guinea Grass, Prickly Pear, Lantana, Rainbow Trout, Tank Cleaner. 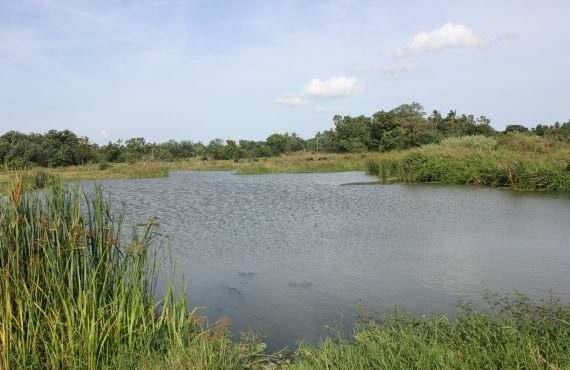 IAS have invaded almost all terrestrial and inland aquatic ecosystems of Sri Lanka. Horton Plains National Park is overrun with common gorse (Ulex europaeus). Forests and other sub-montane habitats have been invaded by autograph tree (Clusia rosea), wet zone marshes and flood plains by pond apple (Annona glabra), and shrubby dillenia (Dillenia suffructicosa), dry lowlands by Kalapu Andara (Prosopis juliflora) and prickly pear cactus (Opuntia dillenii), and wet zone rivers, man-made reservoirs, canals and marshes invaded by water hyacinth (Eichhornia crassipes) and giant salvinia (Salvinia molesta), clown knife fish (Chitala ornata) and tank cleaners (Pterygoplychthys disjunctivus & P. pardalis). 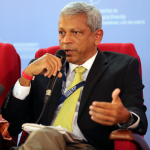 How will IAS impact Sri Lanka? 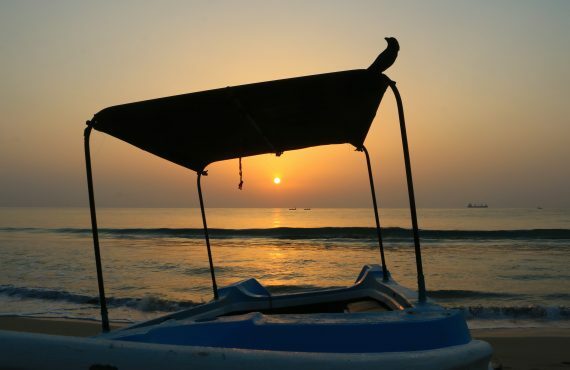 Simply put, our biodiversity, economy, tourism, agriculture and health will decline with the effects becoming increasingly difficult to mitigate as the spread of IAS becomes impossible to contain. 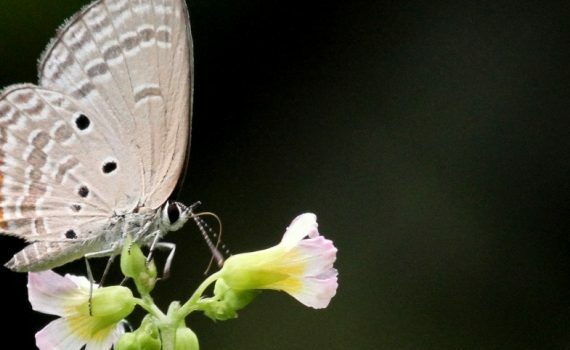 Biodiversity will suffer as IAS transform the structure and balance of species in natural systems as they suppress native species and reduce the quality and productivity of landscapes. Agriculture will suffer as IAS infestations result in direct loss of crops. IAS potentially act to suppress native species used by animals to forage, and therefore can decrease the productive area of farmland and parks. 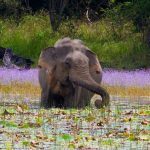 This is currently occurring in Udawalawe National Park, where lantana (Lantana camara) is spreading rapidly and reducing available forage grasses that can be used by the elephants. If water channels are taken over by water hyacinth (Eichhornia crassipes) or giant salvinia (Salvinia molesta), they will decline in quality as they will experience reduced flow and less sunlight reaching the indigenous aquatic flora and fauna, starving the water of oxygen. Health may become affected as IAS can bring previously unreported diseases, and floating water hyacinth and giant salvinia provide nesting and breeding habitat for mosquitoes in Sri Lanka. Native medicinal plants, important for ayurvedic medicine in Sri Lanka, can be threatened and suppressed by IAS. Not surprisingly, preventing the entry and spread of IAS is much less costly and much more effective than later control and eradication efforts. Prevention requires committed collaboration between governments, economic sectors, NGO’s and international organizations. 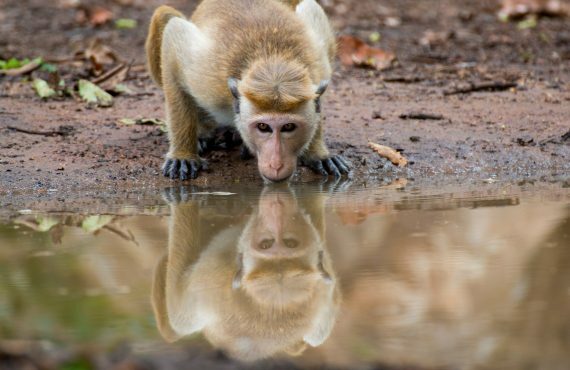 As a nation we must be more vigilant in the species brought into Sri Lanka, whether they are for botanical gardens, nutritional supplements, aquarium fish trade or ornamental purposes and identify the potential for non-native species to become IAS from the get-go. Visit www.iassrilanka.lk for cell manager contact information, details on the top priority IAS (flora + fauna), and training/pictorial guides to help you and others get involved with IAS control efforts.